Do you pine after the Calendar Islands Yawl? Or do you just need some skills? Would like the direct help and instruction a class would bring towards helping your own projects along? Do you want to bring home your own CIY to finish out? In this 1-week class, we will build a bare-hull and prepare it to go home with a lucky student to finish at home. In the first day we will set up the strongback and the building jig, ready to plank. Most of the week will be planking and discussing the finer points of glassing seams, cutting laps, gains, and using the clamping batten system to ensure a fair hull. The end goal is to have a bare hull: hull is planked with skeg, outer stem, and rubrails attached. On the side, we will vacuum-bag the foils, learn how to shape them with templates and discuss topics such as building a Birdsmouth mast. 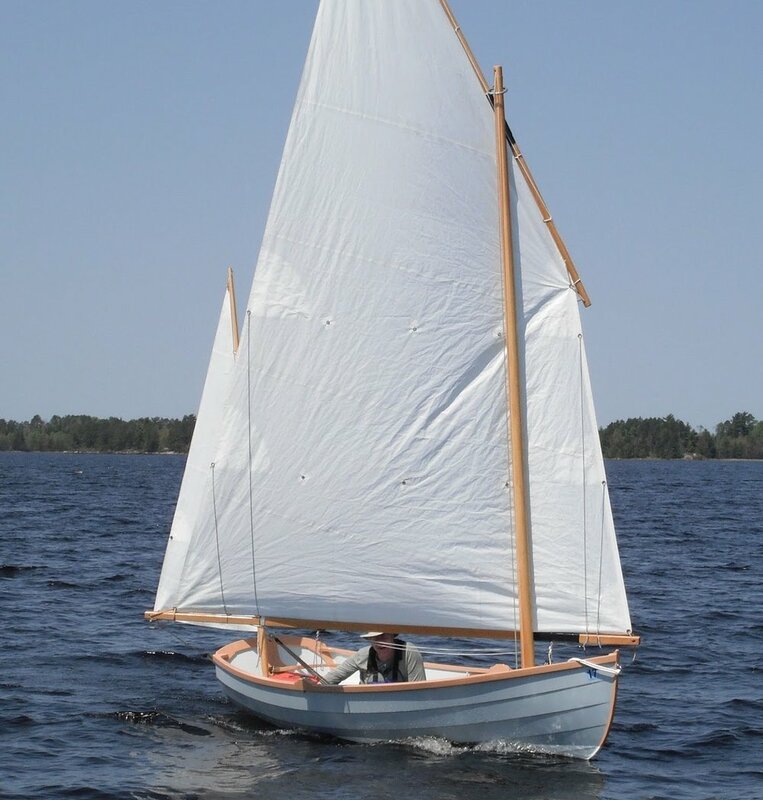 In this class you will also get an exciting introduction to the fundamentals of boatbuilding. How do you set up a proper strongback? How do you do glued-lapstrake planking well? How do you cut a gain? What is the most efficient use of epoxy? What are the important points to remember in preparing a boat for finishing? You will be able to answer these important questions at the end of the 1-week class. The boat will be available to take home at the end of the week. If multiple people want it, there will be a lottery system to decide the winner. The winner of the boat will pay $1,750 for the bare-hull. Class begins at 8 am on the 12th and finishes midday on the 16th or whenever we finish the hull. Class runs 8-5:30pm daily with a night session likely as we see fit. There will be plenty of time to ask questions and enjoy getting to know one another over dinner at some local favorite spots, including visits to favorite breweries such as Barreled Souls, Dirigo, and Banded Horn. We can help you find a good fit at an Air B & B locally. We are developing some relationships with hosts in Saco close to the beach and River as well as in Portland. More info coming on this front. Loved one who may wish to join you will find plenty to do here, even in winter, like cross country skiing, shopping in Freeport and Portland, and walks on the beaches of Saco. “While I had built a S&G boat in the past, I have set my sights on a more complex design. The CIY was a great introduction to glued clinker and all that it entails, like beveling laps. Working in a real shop with a group of like-minded people was great. The biggest learning for me was the use of hand tools – how easy and enjoyable they were”.